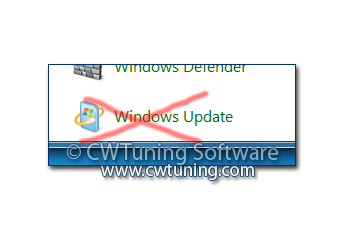 This tweak blocks user access to the Windows Update Web site at http://windowsupdate.microsoft.com. Also, the setting removes the Windows Update hyperlink from the Start menu and from the Tools menu in Internet Explorer. Windows Update, the online extension of Windows, offers software updates to keep a user’s system up-to-date. The Windows Update Product Catalog determines any system files, security fixes, and Microsoft updates that users need and shows the newest versions available for download.